PHOENIX — Who's ready to take a flight to the Hawaiian islands? Southwest Airlines is now offering flights from Phoenix Sky Harbor International Airport to airports located on the islands of Maui, Oahu, and Kona. 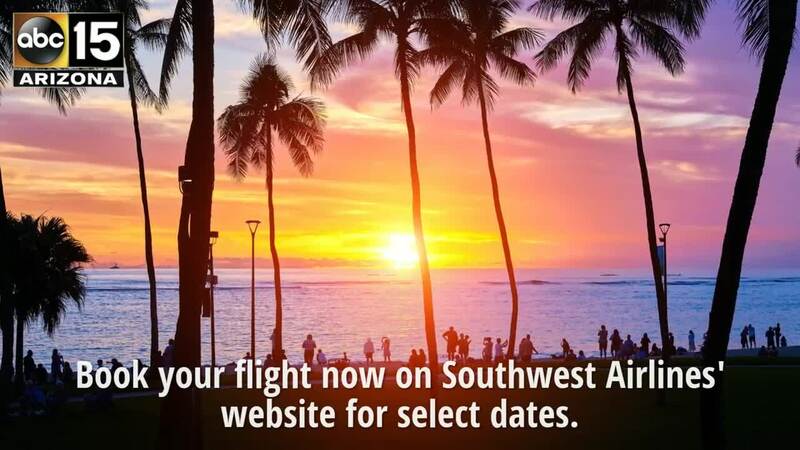 Kona is listed as one of the islands that Southwest airlines flies to, but as of Monday morning, there were no available direct flights from Phoenix. On Monday morning, flights were as low as $88 one-way, but it appeared seats at that low price were were filling up quickly. By Monday night, it appeared all remaining flights had stops in California. The airline previously announced plans to fly the new Boeing 737 MAX 8 aircraft, which has increased levels of efficiency and range compared to the other Boeing models that have been in the Southwest fleet. For more information on available flights, visit Southwest's website .